Six-time GRAMMY Award winner Amy Grant teamed up with her country superstar husband, Vince Gill, for the release of ’Be Still And Know... Hymns & Faith’. The album follows Grant's 2014 fall release of In Motion: The Remixes, which soared into the Top 5 on Billboard's Electronic Albums Chart. The album features several tracks from previously released projects Legacy...Hymns & Faith and Rock of Ages...Hymns & Faith, which have sold more than 800,000 copies combined. 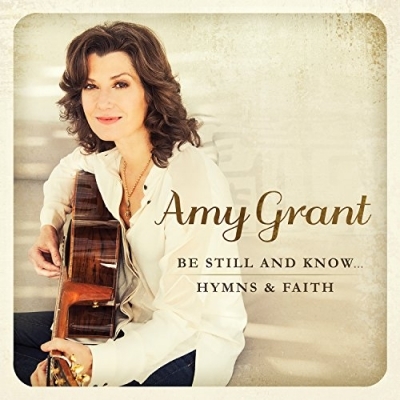 Read More Six-time GRAMMY Award winner Amy Grant teamed up with her country superstar husband, Vince Gill, for the release of ’Be Still And Know... Hymns & Faith’. "Hymns were so much a part of my childhood," Grant said. "We sang hymns like people sing the national anthem before a ballgame; it was hymns before everything. We sang hymns in our homes, in our church three times a week - there would be some Sunday nights where all we did was sing hymns. These songs are for people who grew up with the hymn tradition - to remind them how inspiring they are." As the majority of these tracks have appeared on previous releases, this album has an element of an Amy Grant Greatest Hymns, but this release does have two newly-recorded songs produced by husband Gill. The two new tracks are the opening songs "Power In The Blood" and "Be Still And Know." Both tracks get their inspiration from the Country music genre. You can tell husband Vince has worked on these tracks. Both are lovely songs, and the clean musical production is very sweet. Amy’s vocals sit perfectly in these songs. If you’re a fan of Amy Grant and her hymns album, I’m sure you will have the previous two albums, but for me hearing this as my first introduction to Amy’s Hymns albums I really enjoyed it. Tracks like Carry You and This Is My Father’s World are two very sweet hymns that with the vocal quality of Amy are fantastic. Joyful Joyful We Adore Thee has this Celtic vibe to it and doesn’t sound like the Christmas song we have come to associate it with. I really enjoyed hearing Amy sing ’It Is Well With My Soul’ and her version of What a Friend We Have In Jesus that flows into Old Rugged Cross that then moves into the hymn of all hymns How Great Thou Art is fantastic. The simplicity of it is wonderful. I’m sure thousands will love hearing the vocals of Amy Grant singing these well known songs. The more I listen, the more I enjoyed worshipping to these versions. As I have never really been to a church that sings that many hymns, I actually knew very little of these songs, and was approaching them from a fresh perspective. I’m glad I had the opportunity to enjoy these songs and having Amy do them her way was a real treat.